PS4 update 4.70 is giving some users serious trouble, according to multiple accounts across Reddit and Sony's support forums. The update went live earlier today and since then many users have reported locked-up consoles stuck on the main menu screen, though many have been able to get it working again after some effort. 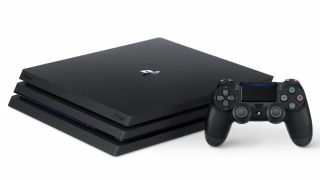 There doesn't seem to be a consistent hardware element to the issue; users on PS4 Pros as well as original PS4s have reported problems, while others updated just fine. Assuming your console hasn't already downloaded update 4.70, you may want to hold off until Sony publicly addresses this issue. Here are some potential solutions users have posted in case you're already staring at a frozen screen - your mileage may vary, of course. Troubleshoot at your own risk. If you need something to do while your PS4 sorts itself out, consider reading through our list of the best PS4 games and the upcoming PS4 games for 2018 and beyond.